Add Rhodiola X5S (5% Salidrosides) to your Favourite Herbs list. Herbosophy's Rhodiola X5s is a concentrated extract made from pure Rhodiola rosea root and standardised to contain at least 5% Salidrosides with every serving. Rhodiola X5s is concentrated without fillers or preservatives and is freshly encapsulated for you at order or packaged as loose powder: the choice is yours. 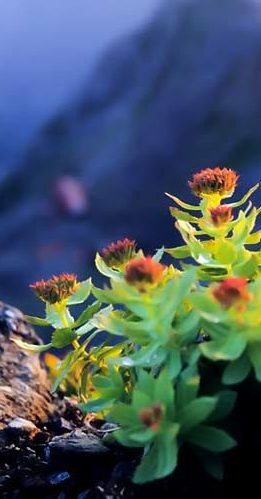 Rhodiola is traditionally considered by Herbalists to be moist and cooling, and has been a popular herb in the Arctic region for culinary, cosmetic and health use. I really enjoy using this rhodiola as it definitely improves my energy levels. I am using Herbosophy's Ashwaganda X5 and Rhodiola X5S together twice daily and have noticed an improvement in my mood and increased alertness, especially at night. The information I have found online seems to point to salidrosides being more active than the rosavins. I value that Herbosophy has fresh ingredients with no fillers. Hi I think my stress levels and cortisol has decreased. I can't believe I've found an Australian supplier of Rhodiola with such a high salidroside content. I've found salidrosides are the stimulating ingredient in Rhodiola and this product does it in spades. My recommendation is to adjust the dosage to suit you. Herbosophy, you have me!